- does this sound familiar? Have you found yourself being held back from doing what you want to do by other people who say you are not capable of changing? Do you sometimes ask yourself whether you are worthy of living the life that you desire, in other words, being able to live YOUR dream? Have other people told you that you are crazy, or thinking above your station, for wanting to live a better life and therefore made you feel undervalued? The truth is, you can never control what other people will say and think. It is far more important to concentrate on what YOU think! So, will you rise to the higher expectations of YOUR greater self, or will you settle for the average limitations imposed on you by other people? I know that I faced these exact situations. I was worried about how I would pay my bills and look after my family if I followed my purpose and passion. One thing I know for sure is: if this is how you feel now, and you continue with your current actions, you will remain on your current path, the one that that leads to retirement and you find yourself asking: "What if? ", or "If only..."
Well now you never have to worry about the fear of failure and criticism from others again, because "Your Why Academy" is here to show you how you can change your thinking and take control of your life so that you can live with freedom and significance! You have a choice, and you are empowered to take charge of your future. When you make the right choice and adopt the techniques that have been developed through my own experiences and extensive research, you will find that you can live a life where you do what you want, with who you want, when you want, and how you want - every single day! As you approach the next phase of your life I want to help you push on, find clarity, and pursue your purpose by discovering your why. This is the time to set yourself up for a life of freedom and happiness. You'll start seeing results with "Your Why Academy" almost immediately. 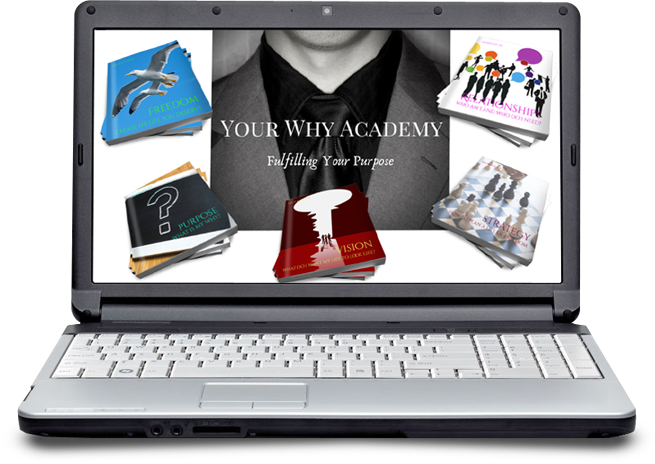 "Your Why Academy" really does hold the key to your happiness by showing you how you can start a NEW LIFE now. Are you ready to take control and discover the future that you choose for yourself? "Chris, your program is phenomenal and clearly provides the definition of a person’s ‘why’, how to discover it and also provides the tools necessary to do it. With your guidance, I was able to dig deeper in understanding of who I am and why things are important to me. Your Why Academy program has been instrumental in reigniting the passion to live out my purpose and has given me the tools necessary to create a clear path for living a fulfilled life. For that, I personally thank you ❤️ You simply cannot put a price tag on that my friend." "An outstanding program that gets deep into your roots and enrich your professional competencies. I would definitely take another program taught by Chris"
"The course was great! It has made me re-evaluate who I am and what is important to me. Finding your why is not about other peoples expectations, it is about who you really are. Finding your why is for people who have a drive and determination to better themselves." "Thank you so much for helping me to find my way and coaching me to be the better version of myself. Chris spent almost two years helping me and guiding me to become who I am today. I'm still learning from Chris as he continues his growth journey and I am continuing with mine as well. " "I can't believe the growth. Even though, I look back and see November, I’m like wow! Thank you so much for all you do to encourage us to become the best version of ourselves." I Want To Help, So I Have Created A Special Offer! The regular price to join this community is $497 but you can join today for just $299! Do you want to stay in your current mindset and achieve the results that you are currently receiving, or would you like to find a better way that will lead you to a life of freedom and happiness, doing more of what you love to do? Yes, I want to become a member and save Now! There a 5 modules that are released over a 3-week period so that you can complete them at your own pace. In addition to the amazing material within the online modules, you will also be invited to join the exclusive secret Facebook group that was created for current and alumni members to collaborate and share their experiences. This is a lifetime access and there will be some bonus teaching calls and Facebook lives that are only available within this community. Before you can build anything substantial you need to ensure that the foundation is solid so in week one we work on this. Module #2 - Purpose: What Is My Purpose In Life? You were put on this earth for a reason but how do you know what that is? Module #3 - Vision: What Do I want My Life To Look Like? Now that you have got an understanding of what your purpose is and why you should create a life that you deserve, now is the time to start investigating your dream. You can achieve anything in life is you believe that it is possible as long as you are following a proven process to determine whether your dream really is your dream. Now we are getting deeper into who you are and what you stand for. I want you to understand your purpose in life as this is the core of what you stand for. You have learned about are your values, your beliefs, so how do you live these every day? Module #5 - Relationships: Who am I and Who do I need? Jim Rohn says that: We become the average of the 5 people we associate with the most. Who do you have in your inner circle and, more importantly, who needs to stay and who needs to join? People do what people see, in other words we model behavior and others model our behavior. We close this section investigating why it is important to maintain a coach, a mentor, and accountability partners as you navigate your growth journey. The key to your NEW LIFE of Freedom is in YOUR hands so unlock it now! Yes, I am ready to become a member TODAY! 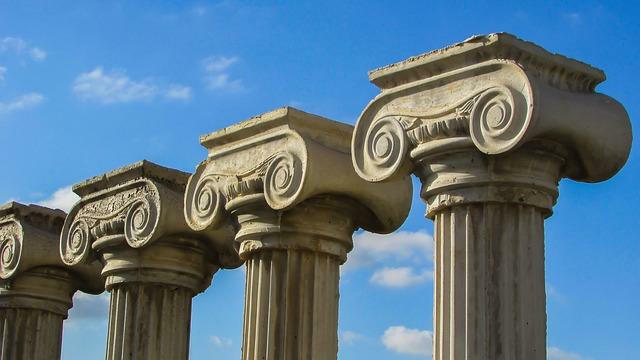 I have created a PDF with my "5 Pillars of a Meaningful Life" which details 5 starting points that I believe will give you a great foundation for your life if happiness - please accept it with my compliments. Download your FREE copy of "5 Pillars of a Meaningful Life" PDF with my compliments.